Aerospace manufacturers and airlines announced 354 new orders and commitments on the first day of the biennial Paris Air Show, worth £35bn globally and an estimated £3.3bn to the UK. The new business announced on the first day of the air show reflected the positive outlook of the aerospace industry around the world. 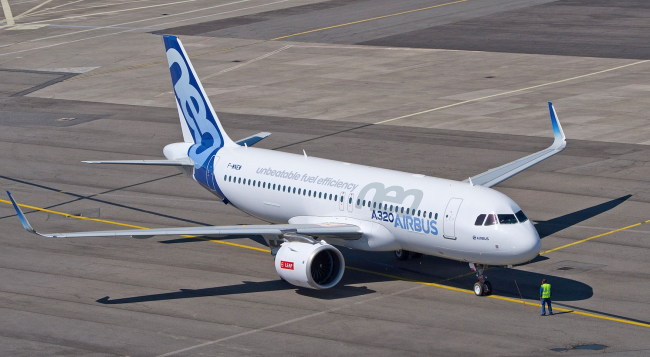 A large order for 100 A320neos, the latest version of Airbus’s single aisle A320 series, was placed by leasing company GECAS and will be worth a total of £1.2bn to the UK, which manufactures wings for the A320 family. More than £100m is currently being invested in the A320 wing assembly line at Airbus in Broughton, North Wales in order to equip the factory with new, semi-automated pulse line technology systems to improve efficiency and ensure readiness for a ramp-up in production levels. The UK also has a deep aerospace supply chain, which will benefit from the GECAS order, including companies supplying tyres, communication antennas and flight control actuators. ADS Chief Executive Paul Everitt said: “The first day of the Paris Air Show has seen positive news for the aerospace sector, both around the world and in the UK. “Orders and commitments announced today will bring more than £3bn into our economy as the systems and components of these aircraft are designed and manufactured in the years ahead.